We had snow—the only one this winter, as well as a much-needed snow day for kids and teachers. 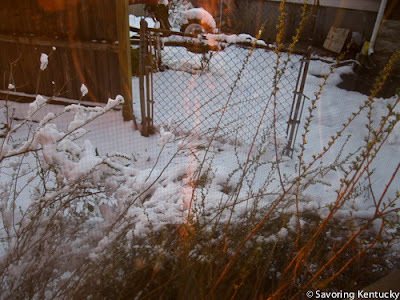 The snow fell on daffodil blossoms and prematurely flowering spring shrubs. 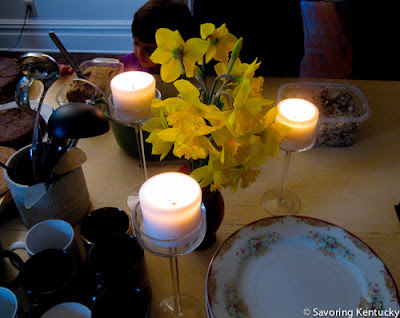 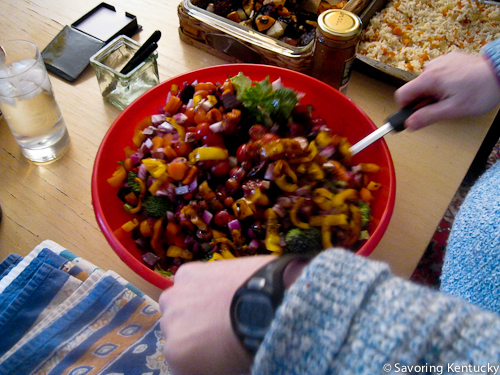 The small gathering for Supper included some first timers and featured an abundance of foods.